Pros: Beautiful music paired with a moving story. Cons: Accounts of abuse and explicit drug use may make it unsuitable for younger viewers. Intelligent, moving and soulful show intertwining music and drama. The Billie Holiday Story is a glamorous and moving account of the troubled life of one of the most prolific jazz stars in America. 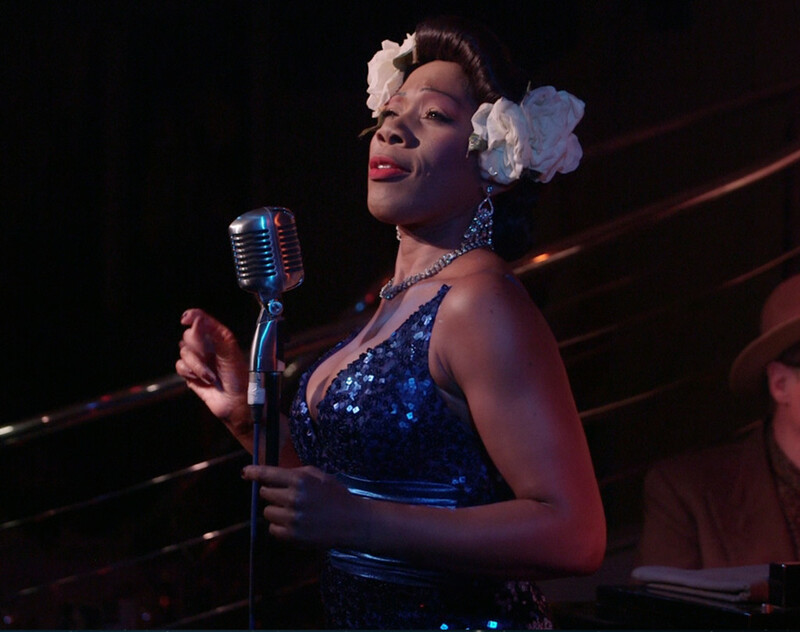 Set to an impeccable five-piece Jazz band, Holiday’s story is told through a hybrid of gig and drama, monologues seamlessly intertwined with the lyrics of Holiday’s songs, the story behind each revealed before and during its duration. But Nina Kristofferson, writer and sole star of the show, has crafted a portrayal that is more than just an impersonation act. It is a homage to Holiday’s unique voice enhanced by dashes of Kristofferson’s own inspiring vocal flair. Mesmerising from the moment the spotlight shines on a pair of ruby red lips to the lingering seconds before the singer’s shimmering figure disappears from the stage, the audience’s silence at the end of each song is all that’s needed to illustrate the enchanting quality of the show. The set was simplistic in the extreme, just a suitcase and a dramatic scar of red fabric cascading from ceiling to floor. It allowed all eyes to focus on Billie herself and the band that seemed to almost melt into the background in intimate moments. Kristofferson’s intelligent performance expressed the haunted star’s mental and physical deterioration with such subtlety that by the end of the performance it was as if you were seeing an entirely different woman slowly fade from the stage. However, the piece may have benefitted from a smaller venue; some of the intimacy a one woman monologue warrants was lost a little simply by the distance between the audience and the stage, but this was remedied by Kristofferson making a few dips into the auditorium. Clever direction by Kristofferson and Tim Welton also made the audience part of the play’s world, as we became the eyes of the clubs and bars Holiday sung to, which gave the piece another dimension dramatically. 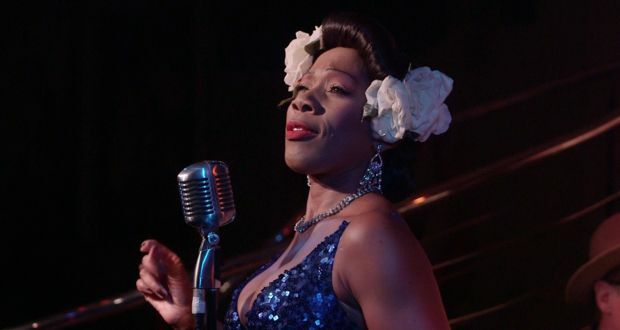 Complete with emotion, charisma, humour and effortless style, this show is perfect for fans of Billie Holiday or those just looking to immerse themselves in a night of stunning performance, storytelling and jazz. If you miss the run in the New Wimbledon Theatre, don’t worry: this production will be touring the UK during April and May.